A friend of mine gave me some leftover grass she had from one of her projects. 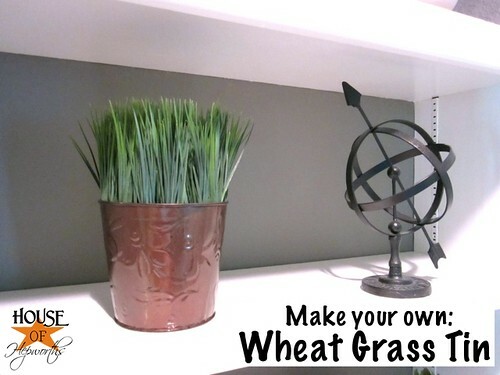 She got it at a craft store, but you can always get a variety of random grasses at the dollar store. Improvise! So of course I had to create a project pronto. It is perfect for grass! 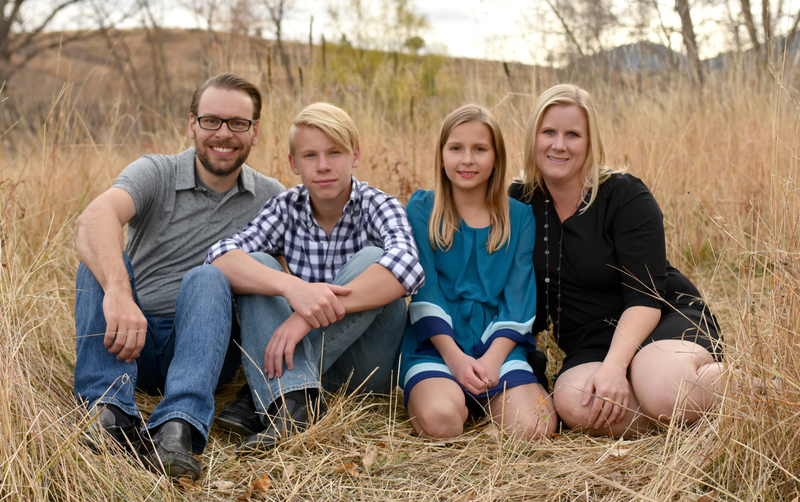 This project is so easy, even you mom can do it, I swear. Get some floral foam. I keep scraps in a bag, so I just pieced together enough to fill the planter. I hot glued all of it into the planter. Then I added some foam board. You can buy foam board at the Dollar Tree as well. 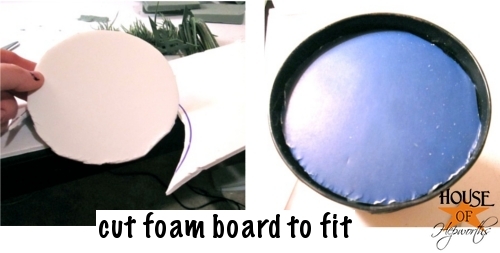 Hot glue the foam board to the floral foam to keep it all secure. 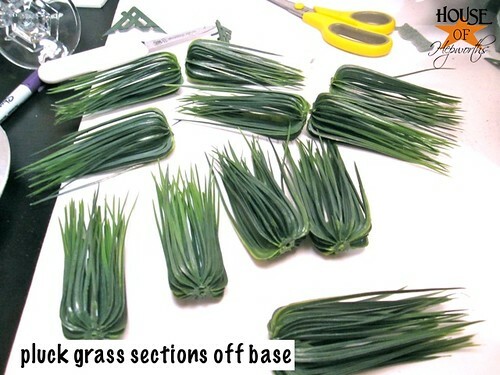 I plucked each section of grass off the base and threw the base away. 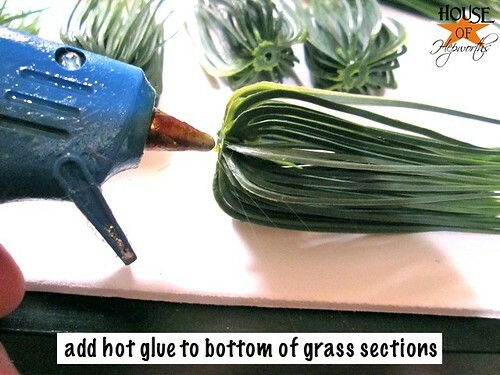 Now, just add a dab of hot glue to the bottom of the grass. Don’t use a lot or it will melt the grass and take too long to dry. Just a dab. One by one just glue the grass onto the foam board. This project took me about 10 minutes. It was one of the easiest crafts I’ve done in awhile. And there ya go, instant cheap home decor. 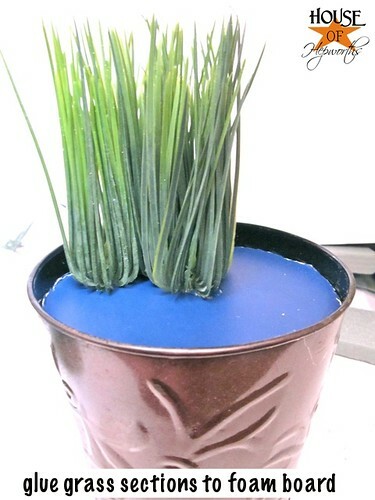 If you want to get extra fancy you can spray paint the tin before you glue the grass in. I may spray paint it, but for now, this works. 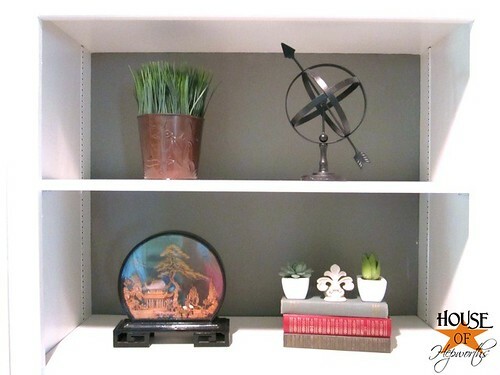 Decor doesn’t have to be expensive. And it doesn’t have to be hard to make! You can do it. So, do any of you have any awesome plans this week? Travis is sweatin’ it out at Boy Scout Camp this week (just a day camp, not overnight) and Kinsey has been praising Jesus at Vacation Bible School. Woot! A break for me! I totally took a nap today. I love camp! Oh my goodness! 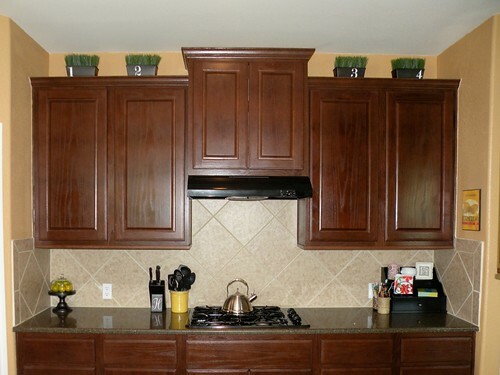 At first glance I thought you were planting real grass and wondered how you were going to get to the top of the cabinets every few days to water it! LOL! I love it!!! Simply perfect! I have NEVER seen grass like that at the dollarstore! I need to hunt when I get down to the states!